A leading luxury-sport automobile brand, Infiniti has always challenged the status quo. They believe a luxury car should connect drivers to the road, not insulate them from it. Infiniti defies convention and traditional automotive attitudes by creating an entirely new class of premium vehicles inspired by art. As the luxury vehicle division of Japanese automaker Nissan, Infiniti offers branded vehicles at more than 230 dealers in more than 15 countries. To educate the nationwide sales force on the new FX45, a luxury-sport crossover, Infiniti wanted to develop an introductory product launch training event. 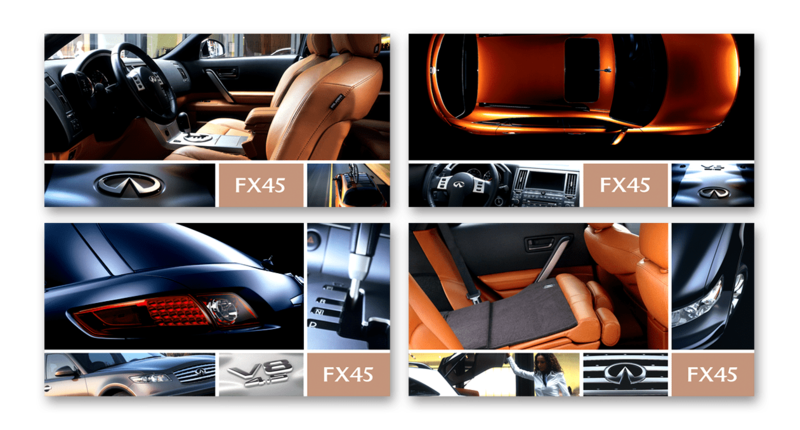 They especially wanted to communicate the innovation of the FX45, including its unique styling, highly detailed interior appointments and a look which varies significantly from other Infiniti models. I worked with Sandy Corporation, an automotive education and training agency, to evaluate which types of collateral materials would be most effective for the product education and training program. 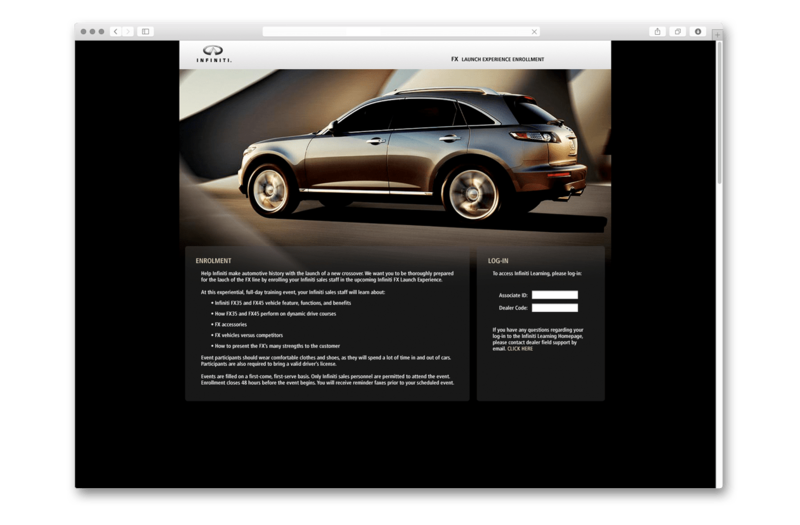 I developed an entire integrated campaign which included a program enrollment website, dealer management brochure, charts, diagram boards and banners. Additionally, to enhance learning, I designed participant guides, a mobile meeting facility, outdoor signage, a meeting-in-a-box kit and program teaser postcards. 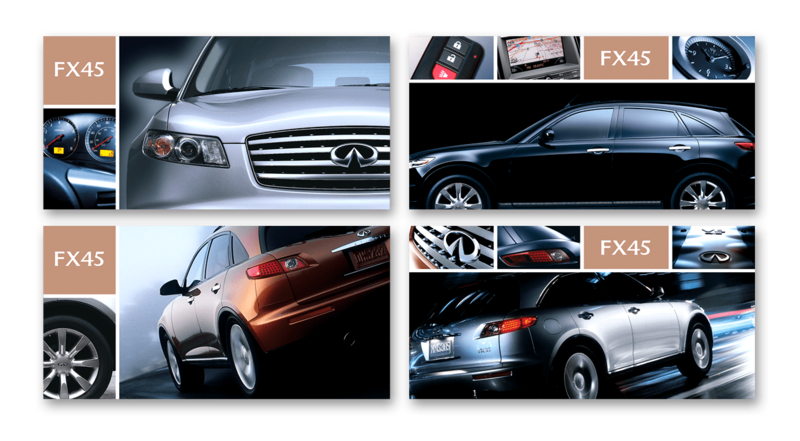 The innovative FX45 program surpassed the expectations of Infiniti and created a successful nationwide launch event.